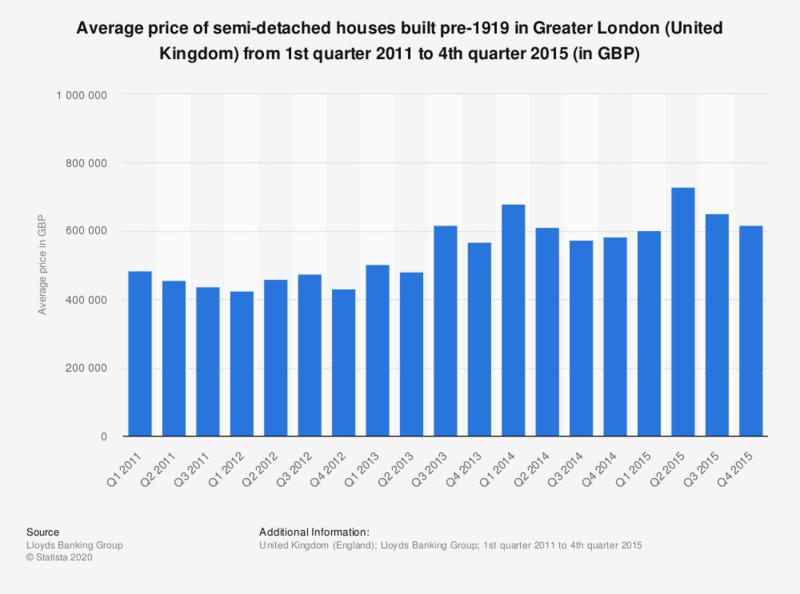 This statistic shows the average price of pre-1919 semi-detached houses in Greater London (United Kingdom) from the first quarter of 2011 to the fourth quarter of 2015, according to the Halifax house price index. In the first quarter of 2014, the average price for a semi-detached house from this period in Greater London was 681.6 thousand British pounds (GBP). By the beginning of 2015, the price has decreased and reached the level of 602.8 thousand GBP, before increasing again to 728.7 thousand GBP in the second quarter of 2015. Data for the fourth quarter of 2011 is not available.